On Wednesday the 5th of October the Kingdom of Lesotho celebrated the 50 year anniversary of achieveing its independence from the United Kingdom. 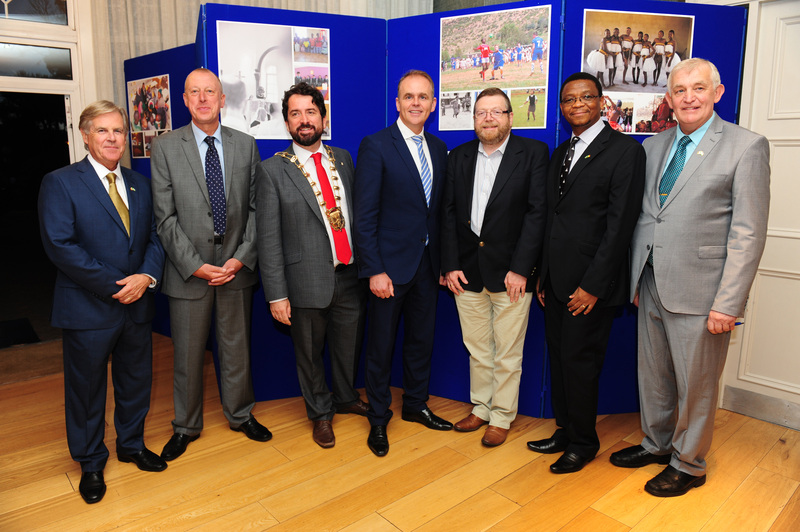 In celebrating this day in Ireland the Ambassador, His Excellency Paramente Phamotse and Niall FitzGerald, Chairman of Action Ireland Trust joined together to host a community event in the Sands Hotel, Portmarnock. Niall FitzGerald outlined numerous and challenging development projects that are delivered by Action Ireland Trust. Paramente Phamotse looked back on the history of Ireland and Lesotho. He mentioned Joseph Orpen a surveyor, after whom Orpen Road in Maseru is named as being one of the contributors to an independent Lesotho today. The evening was a wonderful occasion, for Irish guests to enjoy with a small country in celebrating the precious gift of their independence and sovereignty, and to mark the achievements they have made in that time. The speeches showed that we might all look forward to new ones. Of course the mentions for #MapLesotho were many and frequent all accross the evening. Deputy Mayor Brian McDonagh indicated that unlike his younger years when people in Ireland sat around and talked about development issues the kids in Portmarnock, and adults had sat down and done something about it through mapping. Colin McAndrew, who represented the school in the Philipines for their bid to win the Sage World Social Entrepreneurs award. Colin said that not everybody gets why mapping is relevant to social entrepreurship and leadership. He then said “if you don’t know the way, you can’t lead the way…”. The guest of honour was Minister for State for Diaspora and Overseas Development, Joe McHugh. He indicated how the fusion of people in Lesotho and people in Ireland working together to make an electronic map was a prime example of a new generation called “the digital tribe” who had been born or grew up with the internet. This he said brought people closer together around their desire to make their world a better place.